FY 2019 Budget Proposal – Special Report – REJ & Associates, Inc. The president’s fiscal year 2019 defense budget request calls for $686.1 billion in spending as part of a strategy that stresses restoring and rebuilding America’s military. Our goal with this special report was to take a topic that has historically been vanilla and breathe new life into it. 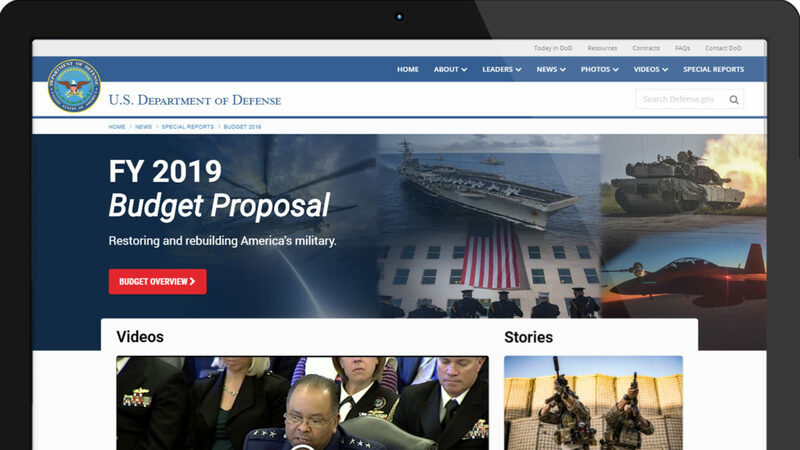 With a “full-width approach” and the use of bright and vibrant colors, we provide a product that creatively portrays the FY2019 defense budget. This special report also utilizes the highcharts.js library, allowing the inclusion of interactive charts and graphics. This allows us to present what was once complicated information in a visually compelling and engaging way on all devices.